A Japanese movie-themed poster by Favio Moreno for the KOOL KEITH show in Dallas on July 26th at Trees. 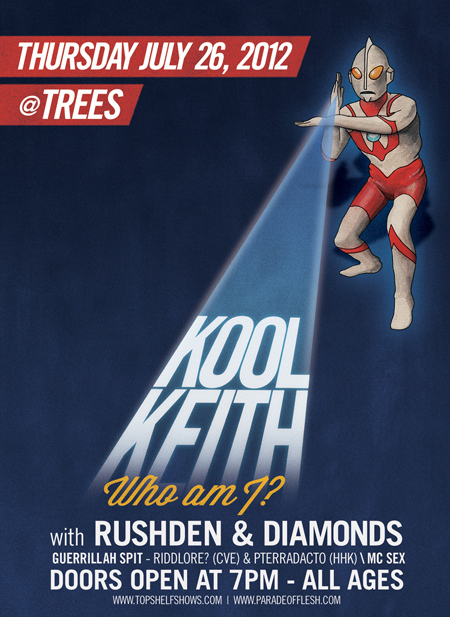 KOOL KEITH‘s WHO AM I? This entry was posted on June 12, 2012 at 7:36 pm, filed under News and tagged favio moreno, kool keith, poster, the bodega negra, trees.